Otherwise, history buffs can make a trip to the nearby terracotta temples of Chandra Family and pay respects to the birthplace of Kashiram Das – the composer of Mahabharat in Bengali. Our village guesthouse in Singee is equipped with all modern amenities and commands a great view of the surrounding greenery. You can also take a swim in the guesthouse’s pond or do some angling with a country made fishing rod “Cheep”. Places to see in Singee, Bardhaman: You can take your car for the local sightseeing of Singee or the village guesthouse in Singee can arrange for a bullock cart to take you along the muddy village roads. You can start with a visit to the birthplace of Kashiram Das – the poet to compose Mahabharata in Bengali, then you can visit the Navratan structured temple of Buro Shibtala. 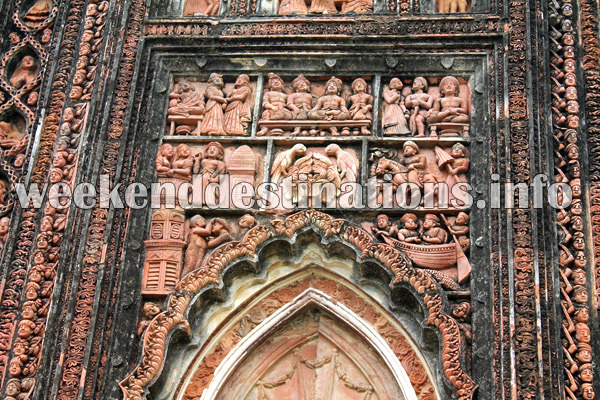 This temple exudes the typical temple architecture of Bengal in the 18th and 19th Century. Next stop could be the wish-fulfilling magic Banyan tree of Kshetropal. Much older than history, this tree is revered by the villagers for its powers to fulfil wishes of all. In certain auspicious days, animal sacrifices are still held here. Further, along the muddy village roads, crossing paddy fields and vegetable orchards, you would come to the banks of the Brahmani River and a bamboo bridge over it. 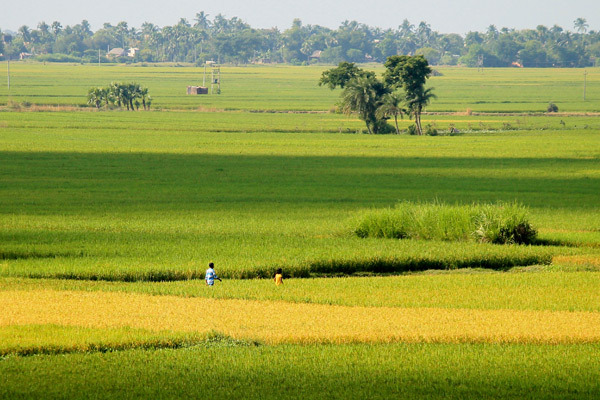 Nearby attractions of Singee, Bardhaman: Just 22 kms from Singee, is the famous bird watching spot of Chupir Char in Purbasthali. Here, river Ganges takes a sharp turn and creates a marshland which invites migratory birds in winter. If you put up at the village guesthouse in Singee, then you can easily visit Chupir Char in early mornings and late evenings to catch the best moments of the winged visitors. 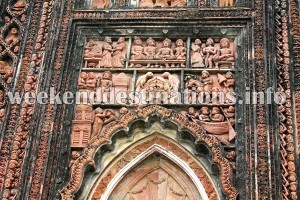 Another nearby attraction is the terracotta temple complex of Chandra Family in Moolti Village. Nearly 300 years old, these terracotta temples represent the Orissa structure of temple building. Still in good shape, these temples and the adjoining Zamindari buildings gives you a feeling of time travelling. 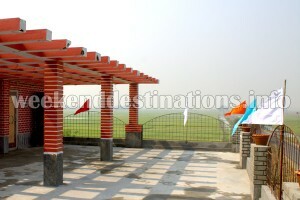 Things to do in Singee, Bardhaman: You can take a walk along the village roads or take a swim in the guesthouse’s pond. 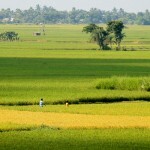 You can also try your hand in fishing or go for bird watching in the fields and rivers of Singee. Visiting local temples, enjoying bullock cart rides and observing the local rituals and culture are few things you can do here in Singee village. Apart from this, you can spend some quiet evenings with your loved ones, plant some more trees or accompany your children to pick up some fresh vegetables from the guesthouse garden or local fields. How to reach Singee, Bardhaman: If you are travelling by car, then you can take NH19 from Kolkata and cross Singur and reach Jaugram and further take diversions to reach Manteswar and finally Singee. If you are travelling by train, the nearest Railway Station would be Patuli. Regular, local trains are available from Howrah to Patuli. It takes around two hours to reach Patuli Station from Howrah. Lodging and dining facilities at Singee Village Guesthouse: Presently, there are only three Double Bedrooms at Singee village guesthouse for guests. All the rooms are equipped with modern amenities like electricity, attached western bathrooms, Electric generators, large comfy beds, 24-hours water supply, parking facilities and air coolers. The guesthouse also has its own kitchen garden and pond, where you can take a dip – if you want. There is a dining area and a fabulous common terrace opening up to a panoramic view of endless paddy fields dotted with distant villages. Food is of utter importance to the owners of this village guesthouse. It is served in ethnic terracotta tableware and is essentially Bengalee cuisine with traditional dishes like Alu Posto and Kachi Pathar Jhol. It is a fabulous lip smacking experience for the guests.